two or three languages in the home. you need Korean and Japanese Fonts. This is the holy book for the Kingdom of Heaven. In Cheon Seong Gyeong, the word cheon consists of the Chinese characters meaning two (二) and people (人). When you think of who the two central people in a family are, you think of the husband and wife. The separation of heaven and earth came about because a husband and a wife in the Garden of Eden lost the way to love. Therefore, in order for heaven and earth to reach completion, these two people (天) must follow the holy (聖) way (經) in which they must love completely. This way is elucidated in Cheon Seong Gyeong. 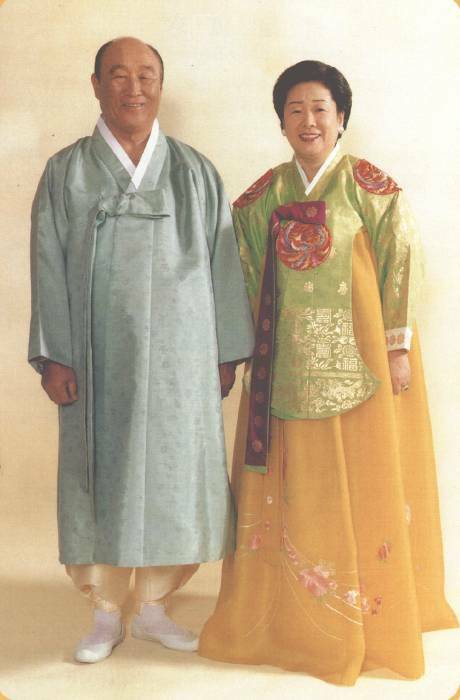 He added, Cheon Seong Gyeong defines the way for two people to walk towards holiness; this way is none other than the family.